Diners are more aware of ingredients, preparation, and portions of food now than ever before. Some are health conscious because of the diet they choose, and some are restricted based on health constraints. Keto and Whole30 are currently popular diets that have created not only buzzwords, but a following of people looking to adopt a healthier lifestyle. Limitations like gluten and lactose intolerance have forced some to cut certain foods out of their diet altogether. This change in the landscape of food has had a significant impact on the food and restaurant industry as a whole. As a restaurant owner, you’ve probably also had to adapt your menu to fit the needs of a diverse array of dietary restrictions. You may now offer vegan items or dishes made with less sodium. It’s important to be inclusive of all lifestyle choices and diet requirements, not only for the success of your business, but for the consideration of your patrons. 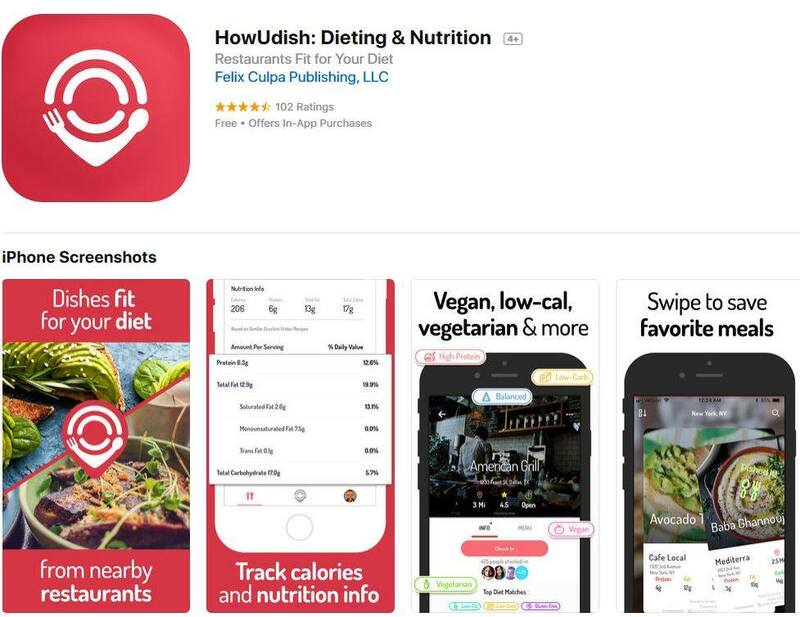 HowUdish, an app geared toward restaurant discovery, recognized the need for a tool to help individuals quickly find restaurants that are friendly to their diets. So, the company behind the idea created HowUdish for iOS to make it easier for diners to enjoy a meal away from home. The truth is, it’s much more difficult to stick to a healthy diet plan or abide by health restrictions when you’re on the go. If you’re not cooking it, chances are you don’t know exactly how the food is being prepared. But, this uncertainty shouldn’t hold diners back from enjoying a dinner out with friends. And from this notion, HowUdish was born. The app curates nearby restaurant offerings and dietary information in one place. Users can filter by dietary restrictions (so if, for example, they’re gluten-free, they can choose that setting) to see what options are available in their area. They’ll get nutritional information including calories, fat, carbs, protein levels, and more. Dining out without the guilt has never been easier. Along with nutritional discovery, Dishers can keep track of diet progress in order to close the loop on their nutritional journey. They can track weight loss, interact with other Dishers, and even save meals they enjoyed to remember them for next time. From a restaurant owner’s perspective, this app can be extremely useful for attracting more diners to your location. If you offer the options they’re looking for, you become easily discoverable on the HowUdish app. These users are looking for very specific menu items and ingredients, so if you can fulfill their needs, you have the chance of not only being discovered, but being talked about among app users. With the diverse dietary restrictions that are prevalent today, it’s important to showcase your offerings wherever possible. When you take off your business owner hat, HowUdish may still be relevant to your personal life. 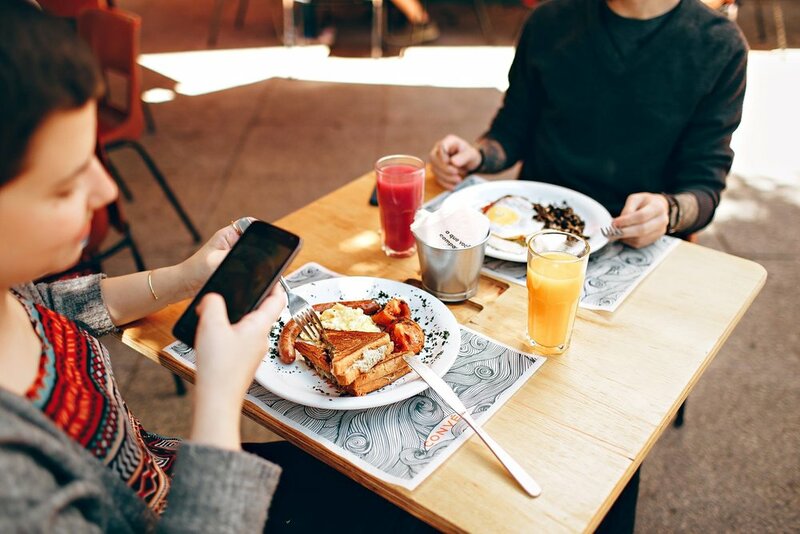 If you stick to a strict diet or have an allergy or limitation, the app can help you find more menu choices when you’re dining out. HowUdish’s mission is to make the world a healthier place, but to do so, they need our help. HowUdish has already been around for about 6 months, but they are looking to expand their business by launching a brand new app for Android. Currently, the app is only available to iOS users, which limits its reach. HowUdish hopes to expand its presence and help more people discover restaurants that suit their needs by being available on any type of operating system. In order to make the Android app a reality, the company launched a Kickstarter campaign to help get the job done. And you can contribute! Follow this link to read more about HowUdish and consider making a pledge. There are some great perks, and opportunities for you to market your restaurant. With HowUdish, hungry diners everywhere are finally able to find a place to eat, no matter what limitations they have. Visit http://www.howudish.com/ to check out their product features, blog, social media, and more. Happy Dishing!